In Pakistan, natural disasters like earthquakes and monsoon floods claim thousands of lives each year. Millions more are affected, and billions of Pakistani rupees worth of infrastructure is damaged as a result of such calamities. Take, for example, the floods of July-August 2010 that affected 20 million people and claimed several thousand lives. Or the earthquake of October 2005 that killed almost 78,000 people and disrupted the lives of 2.5 million more..
Advanced technologies that can help predict calamities like earthquakes and floods, and enable people at risk to take precautionary measures in time. For a developing country like Pakistan, this is not a job the government can tackle alone. Every citizen has to step forward to build disaster resilient communities. With the right information made available at the right time, we can reduce the impact of these disasters on our society. To strengthen communities’ resilience to natural disasters, Code for Resilience—an open innovation challenge supported by the Global Facility for Disaster Reduction and Recovery (GFDRR)—partnered with the Khyber Pakhtunkwa Information Technology Board, the University of Engineering and Techology-Peshawar, the World Bank, Code for Pakistan, Peshawar 2.0, and the Water and Sanitation Program to engage civic hackers in developing solutions to some of the greatest challenges facing Peshawar city in the Khyber Pakhtunkhwa (KP) province of Pakistan. 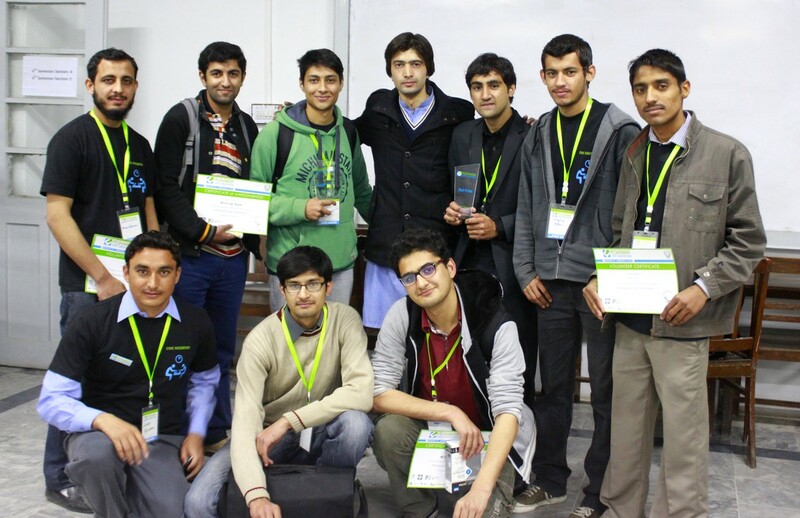 The three-day Peshawar Civic Hackathon was attended by 89 participants who were organized into 23 teams. 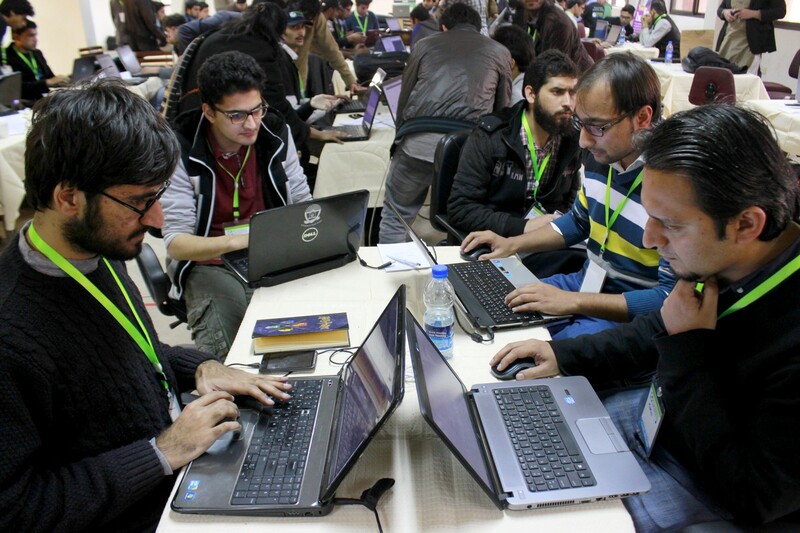 Several government agencies, including the Provincial Disaster Management Authority (PDMA), National Disaster Management Authority (NDMA) and FATA Disaster Management Authority (FDMA) joined the Hackathon, providing their problem statements—some of which are available at http://www.CodeForResilience.org. Civic hackers then put together their ideas on how technology-based tools might address these problems. A total of five teams dedicated their time toward creating disaster resilience related solutions. Over the course of the three-day event hackers received a variety of support. Already available software tools that could be easily redeployed were highlighted through the “app” repository on the Code for Resilience website. Representatives from the PDMA and FDMA were also available at specific times to answer questions from the teams. And mentors were provided to help the teams with technical aspects of building their solutions. Teams developing disaster resilience tools were also given individual brainstorming sessions on the Code for Resilience Online Innovation Challenge, which is designed to provide additional time and support to civic hackers to take their solutions to a new level with the support of expert mentors. Grand prizewinners of the challenge will be awarded an all expenses paid trip to pitch their tools to an audience of disaster risk management experts gathering for the Understanding Risk conference in London this July. Each team was given a demo on how to create an account on the Code for Resilience website using GitHub, and how to submit the application for Online Innovation Challenge on the first day. Among the 20 total teams who made it through to the final day of the event, four teams were working on a disaster resilience related problem statement. After the marathon development session, each team was given four minutes to demonstrate their application. Five judges with rich backgrounds in relevant fields evaluated the “apps” keeping in mind criteria such as: problem-solution fit, potential impact, prototype and ease of deployment. The official criteria by which apps were rated were published on the official hackathon webpage a few days prior to the event. The Minister of the Khyber Pakhtunkhwa Information Technology Board (KPITB), the host of the event, attended the award ceremony along with the Managing Director of KPITB and Vice Chancellor of the University of Engineering and Technology (UET), Peshawar. Second Place: Messiah, an Android application that sends emergency alerts to a bounded network of family and friends at the push of a button. Third Place: Rehnuma, an SMS-based government information portal that connects citizens to key government services, including emergency services. Best Disaster Resilience App*: Disaster Survey Management (DSM), a smart phone-based tool that provides a way to conduct quick and efficient digital surveys about housing needs of populations that had previously been displaced by conflict. Best App for Government Problem Statements: No Kunda * – Indicates a tool created in response to a disaster resilience problem statement. From the winning teams, three will be offered six-month fellowship opportunities at KPITB. The PDMA and FDMA showed their interest in continuing their support for the teams to launch their pitched solution. The Peshawar Civic Hackathon demonstrates how, through innovative solutions and collaboration between local developers and responsible government agencies, the hard task of creating more disaster resilient communities can be made possible. The article was written for Code for Resilience.